One of the reasons vehicle extrication is a complicated process is that no two scenarios are the same. Even when the vehicle you are working on is one you’ve dealt with in the past, there are dozens of variables that come into play — from positioning, to road conditions, to weather. Fortunately, there is a set of rules that has been developed and fine-tuned over the years to help ensure the safety of your team and vehicle occupants. Always work with a partner. In the heat of the moment, it’s easy to become fixated on the task at hand and miss important clues about how a situation is evolving. For example, even with the most expert cribbing, there is always the risk that a vehicle will shift. It’s important to have a partner who can take in the big picture and alert you if any issues arise. Never get between a tool and the vehicle. The tools you use to free a victim from a wreck exert a tremendous amount of force. Couple this with the force that gravity exerts on the vehicle, and there are a number of ways to injure a hand, arm, foot, leg, or any part of the body. Maintaining your freedom of motion is critical. Always maintain your balance. While it may be tempting to lean into your work, you should let the tool do its job while you remain stable and balanced. This prevents your weight from causing the vehicle to shift. It also helps you avoid being struck if a tool recoils. Use the path of least resistance. In some cases, a tremendous amount of time and effort can be saved if you evaluate all your options and in the process discover that a not-so-obvious solution is actually the best one. Have a backup plan. It’s important to have a strategy as you work to free occupants from a vehicle. However, vehicle extrications are fluid situations where you may be forced to switch gears in order to achieve the best result. 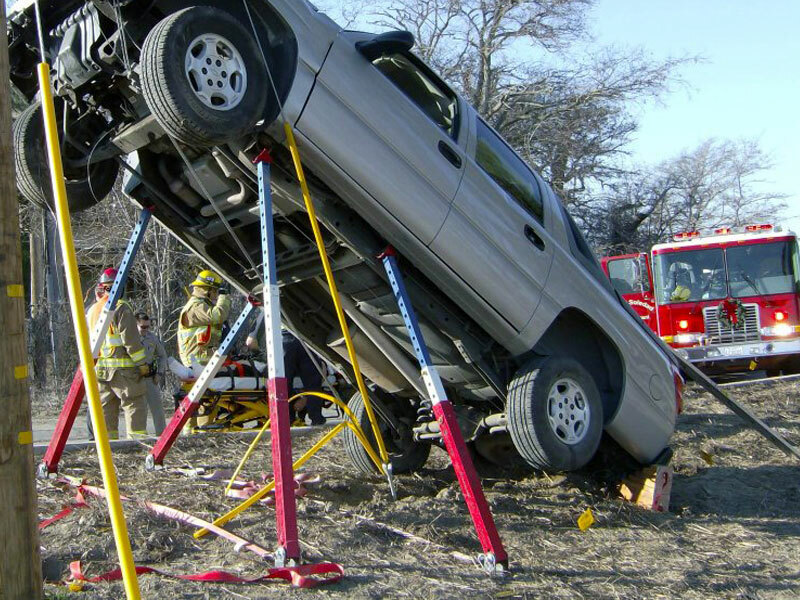 From rescue struts to stabilization equipment, we’ve got what you need to complete your vehicle extrication work safely and efficiently. 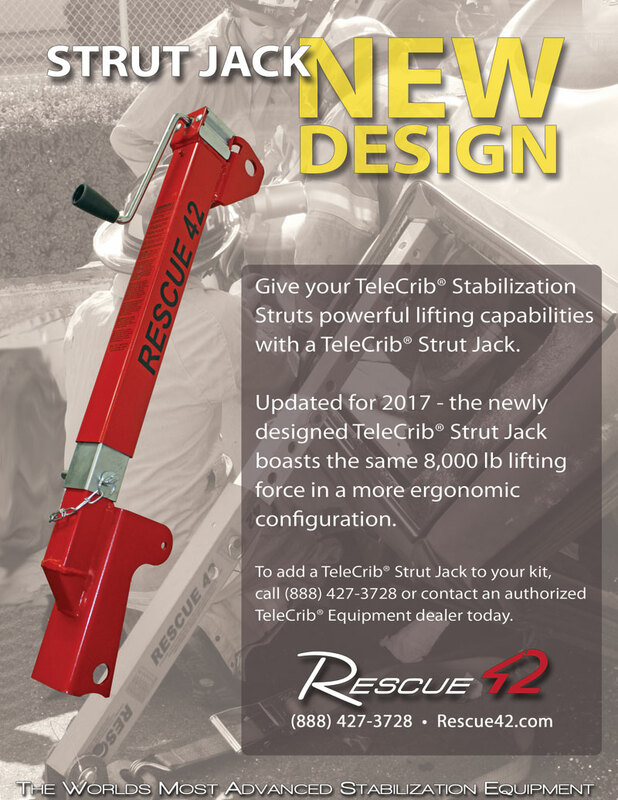 Give us a call today at (888) 427-3728 or email sales@rescue42.com to learn more about our product line.